There are many different products for a plastic repair. For the thirdgen, however, we are concerned with repairing PU, or polyurethane. Oldschool methods are welding with a hot shoe and a string of clear rod. Today we have epoxy polymers that set like nothing else!!! We use 3M Automix exclusively, but, there are many other fine epoxy kits out there, Lord Fusor, SEM, all will work. The caveat; to make sure you use a flexible repair material. (PU is a flexible part, there are many others today, Rigid, semi-rigid, You get the picture.) In some cases an adhesion promoter will be necessary. NEVER BONDO, FIBERGLASS, OR POLYPUTTY!!! Lightly grind the area all around the tear with a 90 degree grinder or equivalent. with 50-80 grit discs, Pay special attention to the tear, taper the edges out in a wide V... inside and out...a groove will be too steep. Clean with plastic parts prep or denatured alcohol. Load your epoxy gun and mixer tip, squirt liberally over the entire surface of the repair area, front and back. Using a spreader, push the material around working quickly but not rushed... make sure the material pushes into the pinning holes, when this hardens it will act as fingers locking and holding the repair together. Let cure 15-20 min in good heat. If you start to sand and the edges begin to peel or chip back wait a little longer. The first coat will be the structure of the repair, dont worry about how it looks... grind, or sand up the face and coat again. Prime, 2K primer WITH A FLEX AGENT!!!!!! I will post pics on the next repair we do, as well as some of the materials. Good post kev. About the differnt brands. I have use duramix,sem,fuser,and evercoat....If anyone don't know what one to get. U can't beat fuser. That stuff is great. Allways sands out real nice.And sticks. Just my 2 cents. Another, a little fuzzy, but you get the idea..
how would you repair a groud effect where a piece has broken off and you dont have the broken piece, the pictures should explain it more. will the 3m epoxy that you use on the cracks work? Last edited by theaddkid2004; 01-03-2005 at 07:01 PM. Same Idea, same process, If they are fairly small, (which they appear to be...) you can "build" the areas out of the repair material. It tends to run though, so it's a little work. You can also cut out squares of fiberglass cloth for a backing that will "make" missing piece. Another idea, is to have an old "junk' piece of the same material as your ground effects, that you can harvest pieces for the repairs to you "good" ones. You will want to drill the pinning holes on the replacement piece, as well as all around the existing hole. Last edited by theaddkid2004; 01-04-2005 at 05:17 PM. I don't visit that often anymore but everytime I have a problem I find the answer here. i.e. the wife just knocked a small piece of the fender off on her 94 and the dealer or paint store were no help. I came here today and the first post I looked at answered my question without even having to ask! Looks like the proper part no for gluing things on is 3M 0837 flexible bumper and body repair. Last edited by Beartracks; 01-13-2005 at 01:38 PM. ive been searching on this repair,,,, i was just wondering if this method would work on the wrap around aero wing spoilers??? opps double post sorry... i tryed to del it but it wont let me?? Last edited by jcurrieirocz; 02-14-2005 at 08:51 PM. Hey I want to shave the "RS" emblems on the side skirt gfx pieces, i.e, make it flush and smooth. So Could I just cut out a piece of a 85-92 bumper, stick it in there, then drill holes in the patch piece and the gfx piece, and then just follow the instructions and smooth it out? What about for the Front Emblem on the nose? And the Rear "RS" emblem on the bumper? grind up the recessed areas, (leave no paint in the area to be bonded.) drill some pinning holes for anchoring, and slick them with the two-part repair material. This process may take a couple fills. I put tape over the area to be repaired, and filled it with 3M Panel Bond (8115) and let it set up overnight. The next day I sanded it with 80 and put Polyflex over top of it. It's a non-structural point so it should be fine. If you had a spot like this on an area that is to recieve much flex, the 8115 wouldn't cut it (it's too rigid and cracks easy to torsion). Last edited by Randy82WS7; 07-30-2006 at 07:57 PM. What about hot glue? Hot or Cold, whatever is sandable? I didnt see JBweld metioned. Yea, its used on most metals but I have used it to repair that plastic plate that helps activate the turning signals. Still works 2 years later! JBweld comes from Sulphur Springs, Texas. A state where I originally came from. I have a question about scuffs in the front chin spoiler. 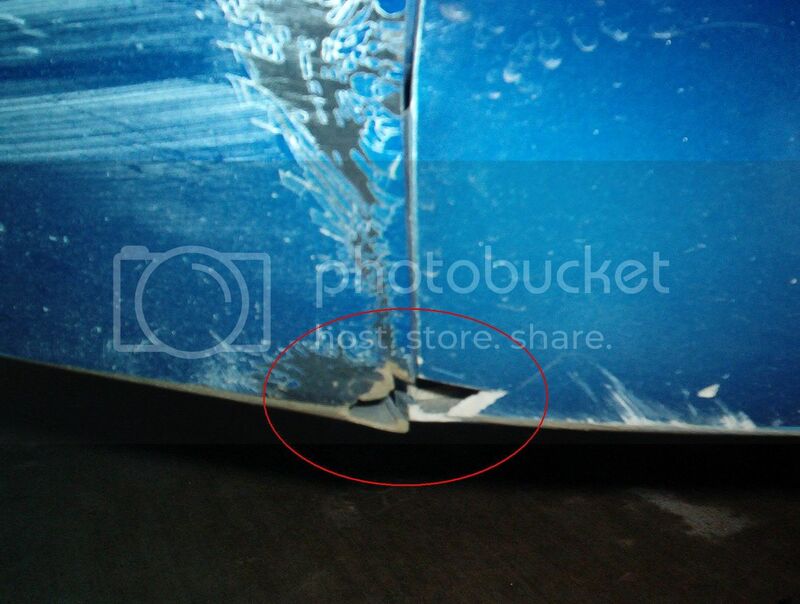 Is it the same to repair hard scuffs in the chin spoiler as well? Deep gouges will repair easier... Just follow the procedure above without the pinning holes, after the repair area is prepared, spread your 2 part repair epoxy in the grooves...prime and paint as normal. I had the top piece of my molding around my door break in half from the middle to the back and i was wondering what i can use before i put it in the bodyshop? Last edited by 92rs85berlintta; 04-22-2006 at 12:50 PM. would that whole process be good for a front nose that has the paint spider cracking and chipping off... im of course talking about the prep work to the repair. would 50-80 grit be to abrasive for sanding down the entire nose fore repaint? or is the bench grinder to abrasive? any recommendations for this? In this case, just strip off the old offending paint, prime and refinish. i know that all i need to do is strip and repaint, but what im asking is how should i go about doing that? what should i use and what steps should i take? Doea anyone know how to repair an lsx polymer intake? It has a 4 inch crack on the bottom corner or the intake. Can you use paint stripper on plastic pieces? I'm going to try to repair the smashed corner of my rear bumper cover...it's been broken for maybe 10-15 years (before I got it). It's warped some, so the edges don't meet up unless they are held in place. My old man suggested wiring them together while the repair material is put on...my concern is that the goo might stick to the wires. Has anyone done this successfully before, or is there another way I should do it? Set it up on stands in the closest possible shape it is when it is on the car. If need be, you can run a couple strips of tape to the corners to help retain it's shape. I don't see why wiring it wouldnt work, as long as it doesn't run through the repair area. Hey Kevin, great job on the explanation of the procedure!! But could you (or anyone) tell me where I can find these products? Im headed to the US in a couple of days and would like to pick up some of this as I have not found it over here. I used fiberglass and cloth awhile back for the ground effects under the car literally by the radiator, looks good, out of sight. There was a long parallel crack (two of them) on the door sill. fiberglassed the sill from under, looks great tough as steel. I have used a regular hair-dryer set it on high heat, and keep it moving over the warped area while adding enough pressure by either you'r hand (with a glove on), or a piece of wood to straiten out the warp and keep something for support there untile the bumper cools and like magic the warp is gone. i would like to challenge you on your topic of conversation. you do have good ideas and they do work. they however are no where near the best. my life revolves around the repair of plastic covers. weather it be tpo tpe, pu, pc, whatever. i fix these all day long for bodyshops and sell them for between 150 and 300 a piece. what you call oldschool, is on the new side of technology. spreading a polyester based material over two sides of a crack is old school. this will wear and not hold up in another forceful hit. "oldschool" plastic welds when done correctly will hold better the the cover itself. i will provide you pictures of a forceful tear. the cover tore beside the weld. not through the weld. in your type of repair, the repair would have failed almost immediatly. be sure to be clear on some of the information you provide. adhesion promoter is not to be used on polyurethane. it does not require its application. polycarbonite is also in this list to not use AP. all other plastics require the use. now the materials you mention are all very good materials. i sell all of them to the market. the one that tops them all that you did not mention (you probably dont know about it) is dominion sure seal. drilling holes will not make the repair stronger. it will only weaken the substrate. for all reading just in case. the substate is the original material you are trying to repair. 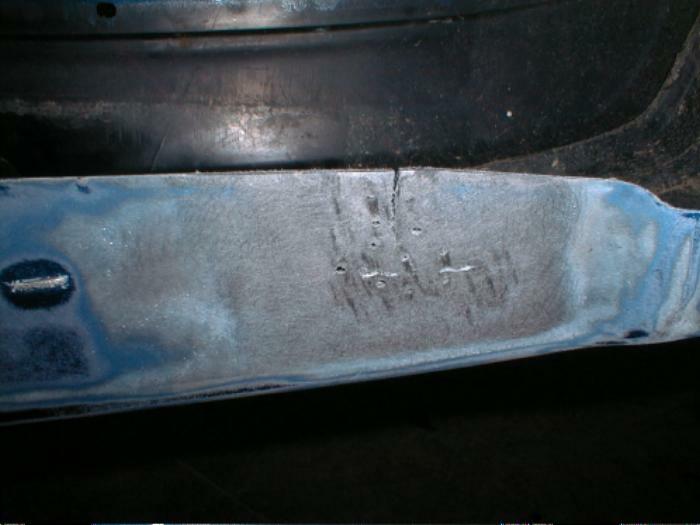 on welds if done correctly there will be no repair material added to the cover. 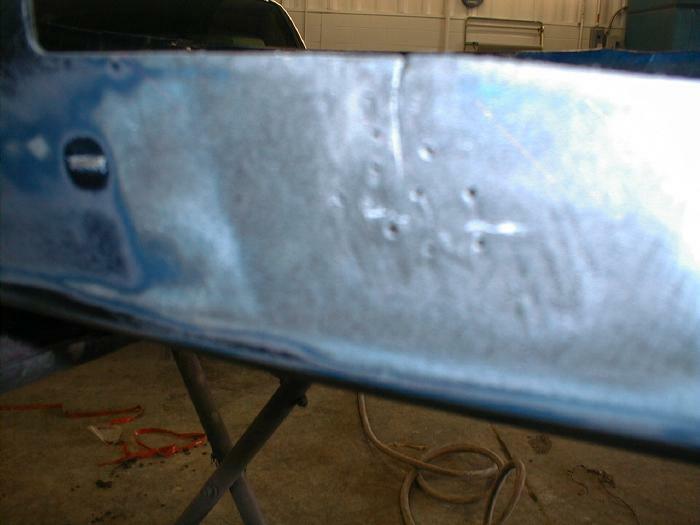 you will have a smoothed over weld and primer to cover it. the rest of your description is pretty good. i will snap some quick pics tomorrow and get the up on the board so you all can see proper repairs to covers. I would not presume to tell anyone here that Plastic Welding does not work. Nor am I here to debate the repair method I am using. My repair most certainly does not fail immediately. In fact, we have repaired many covers a second time that have been hit in a different area, and our original repair is intact and completely uncompromised. I have, in fact, just within the past couple days, had to re-order a "professionally" remanufactured cover that failed miserably in the welded area...before it was even placed on the car. I think the key you need to focus on, is the quality of the repair, regardless of the method used. Always, always clean and prep the area to be repaired before, during and after. Done correctly, welding does a fantastic job. And, don't get me wrong, I have done plenty of plastic welding. I have had formal training by ICAR, in plastic repair. (Originally a plastic welding class.) 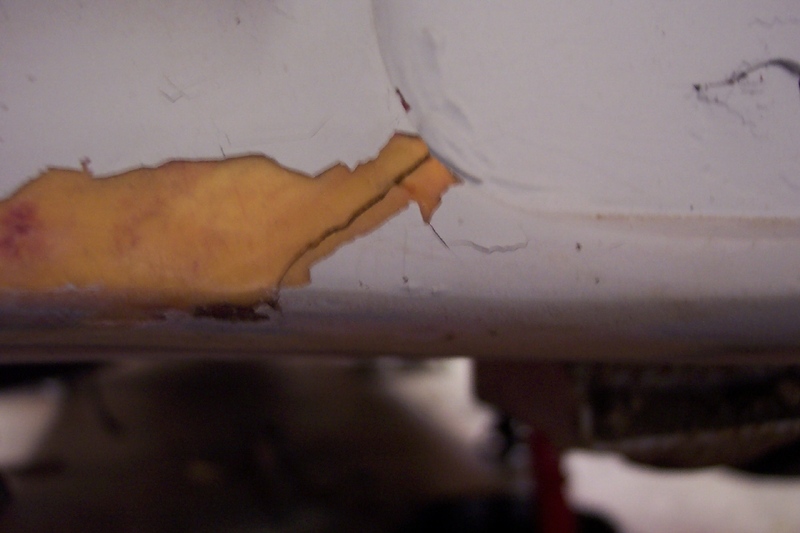 But once I tried the epoxy repair, and have seen first hand how incredibly simple it is...I have never gone back. My repair is also tried and true in the collision industry, to date. 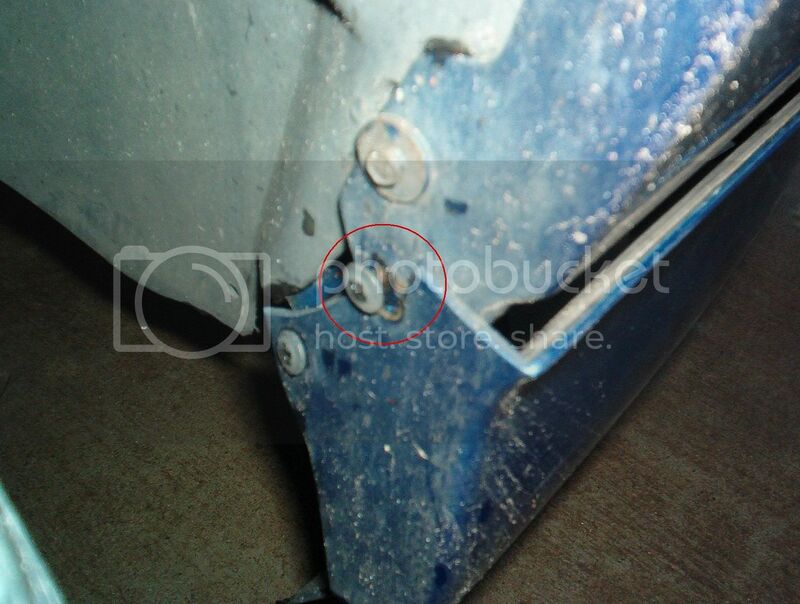 I am in the process however, of compiling my editing of this repair, as ICAR has rescended the "pinning method", citing that they have seen some of the holes re-appear after the repair is on the street. I am sorry if you think that my method is misleading in any way, but as a professional, and having the necessity to be re-trained in many methods to repair a vehicle, I feel very qualified to give this advice. I'm sure you are well schooled in your chosen profession as well, and if it works for you, that's fantastic. Please feel free to outline it in this very thread. But I would ask that you try not to stomp all over my repair. Not trying to trash your thread. I am a part of ICar and I know all about it. They hold the meetings in my building. Like I siad many times, "if done correctly" (quality of workmanship) that is a key. It is known in the bodyshop industry that putting a filler on both sides is not a good repair. No matter the material. It will fail. I dont think your method is misleading. Just making sure you put out the correct information. And all the information. I do combo work, so yes I would say I have the proper training. No doubts on you either. Just remember this. Flex additive is useless after a few days. It evaporates out of the material. Flex additive does not maintain its characteristics in the part after its fully cured. pics of both to compare would be nice. I do not see this as an old school repair. 1.) Frontside and backside repair IS viable. and necessary in this type of repair. The backside repair is what gives the added strength in a structural tear.Are you saying you only WELD one side? 2.) Who said anything about a "polyester" product? I said 3m Automix or equivalent. 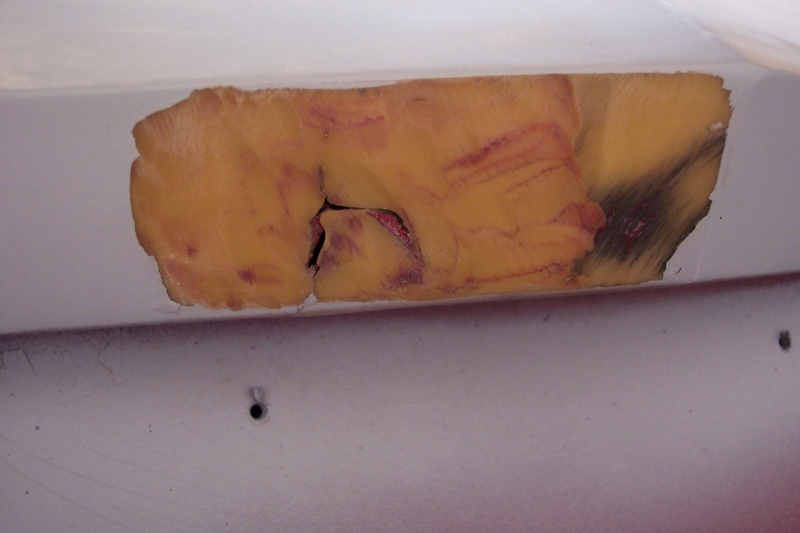 It is a URETHANE product, the same as the bumper, in effect it becomes part of the cover. It's a PDF file, so dialup users beware. It is known in the bodyshop industry that putting a filler on both sides is not a good repair. No matter the material. It will fail. Known where? I believe you should ask the ICAR instructors that teach in your building. As well as the makers of said repair products. It IS reccommended to repair BOTH sides to strengthen the damaged bumper. I have, as many can witness, posted heavily on theis subject. I have hopped up and down, alienated myself, and flat out made enemies over this fact. I now only say this: That is categorically untrue. Before you make such a generalized statement... PLEASE, please research with the high end paint companies, all offer an elastomeric resin flex agent that does not leave the primer, sealer, or clear. Thank you for adding your expertise to my post. I welcome it, if only to educate everyone how to repair their car...as these parts become more and more scarce, we will need all the help we can get. And, in truth, I had given up on plastic welding 7 or so years ago, due to the ease of repair in my method. Last edited by KEVIN G.; 08-23-2006 at 08:45 PM. pimpjetta u got any pics? Have ? for you KEVIN G., will this require flexible repair material? I had this nose laying around and figured might as well fix it. Then possibly sell it . Thanks!! Last edited by Ironmahn; 09-08-2006 at 06:57 AM. I have an 82 Corvette. The front bumper has two tears on it. They are small. You can gauge the size by the 1/8" license plate mounting holes. Kevin G. what would you suggest is the best way to fix it? If I use the Automax which part number is the correct one to use. 3m is kinda pushing their EZ SAND3M Automotive, Marine and Aerospace : 3Mâ„¢ Automixâ„¢ EZ Sand Flexible Parts Repair Kit, 05895, 5 oz Tubes, 6 kits per case product. We are just starting to use this. They tout it as being used on ANY flexible urethane product. Now, we are only beginning to experiment with this product, but it has worked well. Kevin awesome thread. Thanks for the tips. What do you mean by good heat? Also I noticed you emphasized the use of flex agent. I am in the process of painting my GTA with Nason Acrylic Enamel Nucryl. The body shop where I purchased the material said I would not need to add a flex agent to the paint. Is this not correct? In my original post, by "good heat" I meant that you need constant dry [email protected] degrees or better. If it's cold and damp outside, and you don't have heat in the garage...it could impede the integrity of the repair. I see you mention earlier in the thread that you are using a urethane product, but then I see you mention the 05895 which is an epoxy. They do list a 08233 which is Urethane base. Ive been looking over 3M's webpage and they both show to be applicable for flexible bumpers. Curious about pros/cons of urethane/epoxy? Thanks. Also, do these require a special applicator? EDIT: Deleted info about Evercoat Maxim. After re-reading I see you mentioned it already. Last edited by luke-gr; 01-10-2007 at 03:22 PM. 08233 is in the same vein as the older stuff we used to use. It is for larger areas with a longer working time. There are still uses for it, but we are starting to swing to the EZ sand, more and more. I think they are referring to it as an epoxy as far as the technology goes..ie; they are both an epoxy in that they are a two part material that essentially becomes one. I see the EZ Sand 05895 is a simply two tubes. I thought it required a special gun. Good news.